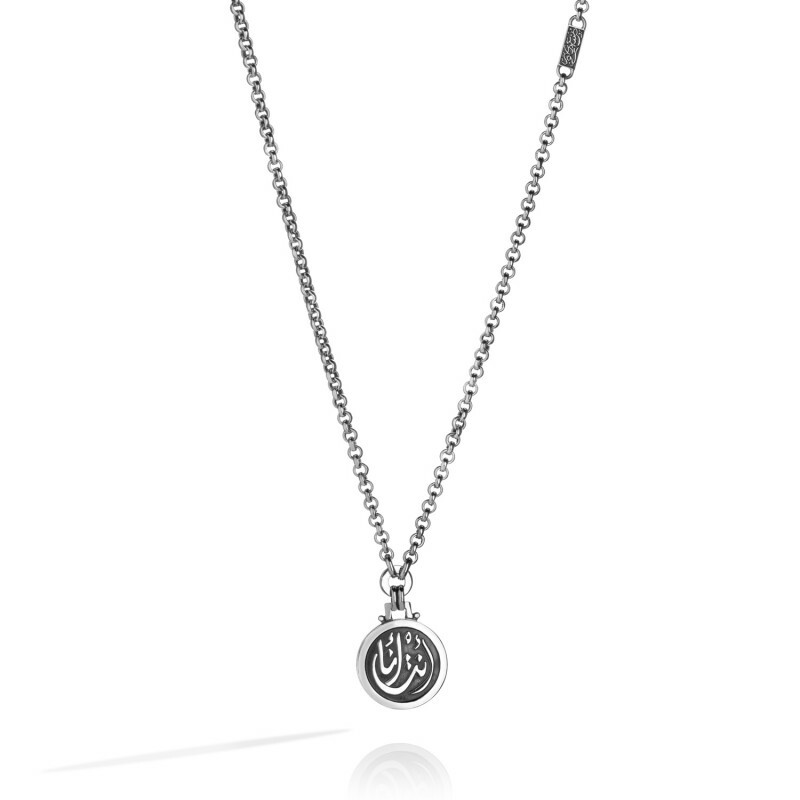 The Dainty Calligraphy Necklace for Him is a masculine Pendant Necklace in Sterling Silver, adorned with calligraphy. Calligraphy reads: انت انا (We are one). Buy individually or as a matching pair with the Dainty Calligraphy Necklace for Her by Azza Fahmy, also available at La Maison Couture. 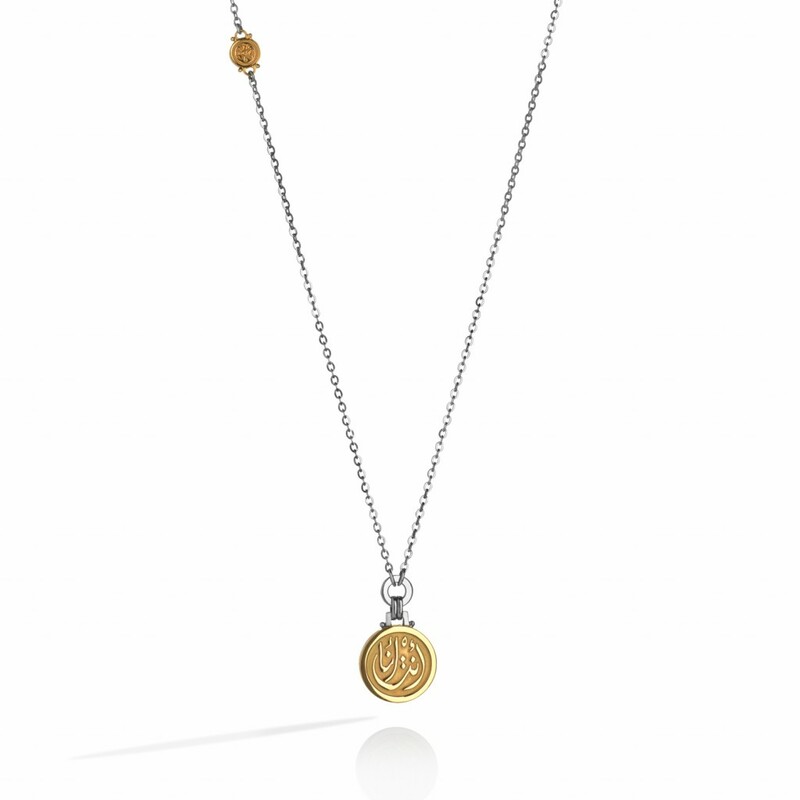 Part of the Azza Fahmy Valentines collection, Inspired by all-time favourite love songs by Umm Kulthum, Fahmy’s muse for this collection, timelessly preserved in pieces both modern and classic.